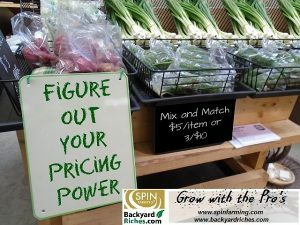 Home Blog Blog Business What’s Your Pricing Power? Just Ask. 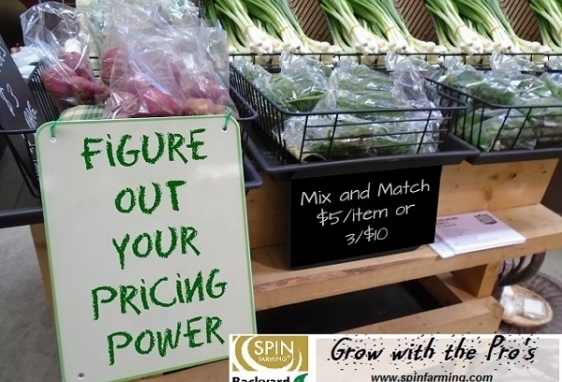 It also underscores the advantage SPIN farmers have over other retailers. Most retail is cut off from any significant dialogue about pricing decisions with those directly affected – customers. So retailers are left with only numbers to try and interpret. We have a HUGE advantage here, selling face to face, especially after you build up a repeat customer base because they’re a group that feels some loyalty and want to see you stay in business!